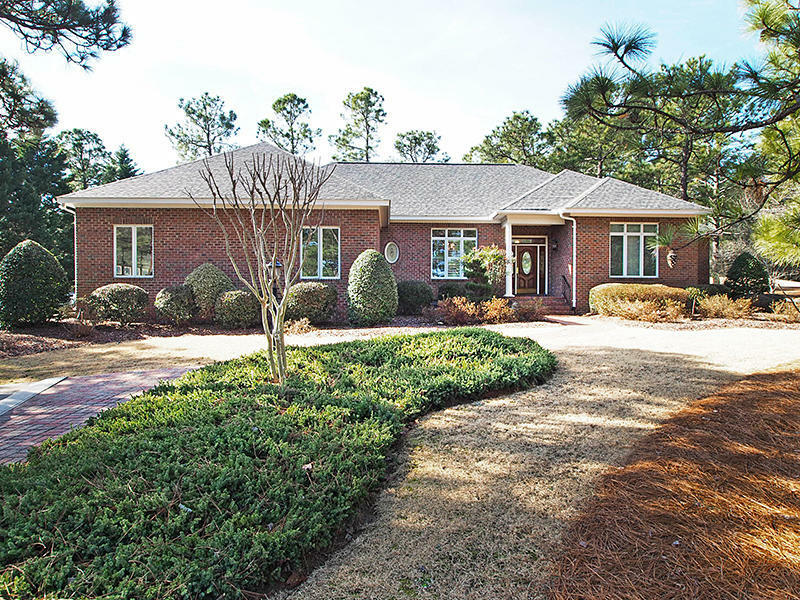 Located on the 13th hole of the Magnolia Course at Pinewild Country Club, this beautifully maintained home offers a large center living room with fireplace, built-ins and beautiful views of the course, a formal dining room, spacious kitchen with sunny breakfast room and a separate study with lots of built-in cabinets. Split bedroom plan with large master suite with lots of closet space and a large master bath with a gorgeous oversized shower. Two additional bedrooms share a roomy bath and there is also a separate powder room for guests. 8 X 14 workshop in the garage! Great landscaping and curb appeal! Pinewild CC membership is available for transfer. Buyer to pay prevailing transfer fees. New roof installed in 2012. HVAC system replaced in 2015.